Click on Caylin Crawford's picture to see video of her foreclosure story. Caylin Crawford’s problems began when she had a snowboarding accident and wasn’t able to work for a few months. Without the income, she realized she would have trouble making her monthly mortgage payments. U.S. Bank was the originator of her mortgage and Freddie Mac had purchased it on the secondary market. She called U.S. Bank and explained her situation. A U.S. Bank representative told her she could probably qualify for a HAMP (Home Affordable Modification Program) loan but she had to stop making payments, which she did. While negotiations were in progress, U.S. Bank sent a letter on Oct 11, 2011 stating they would not proceed with foreclosure. 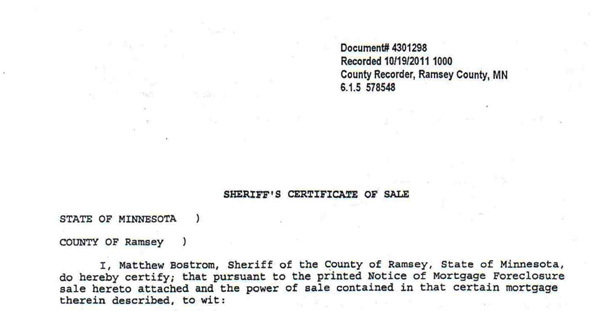 But eight days later she got a notice saying her home would be sold at a sheriff’s auction. The practice is called “dual tracking” and has been used against other Twin Cites homeowners by other lenders such as Citibank. Crawford then began a frustrating process of trying to negotiate with U.S. Bank, where she found the company apparently did not want the negotiation to be on the record. She said the bank refused to reply to her email even though it had done so in the past. When she called U.S. Bank, representatives would ask if the call was being recorded. Crawford says if she would say yes, the bank representative would insist that the recorder be turned off or they would hang up. Crawford said other foreclosed homeowners she has talked to have run into the same problem with U.S. Bank. After about 10 months of negotiations, Crawford filed a wrongful foreclosure suit against U.S. Bank and Freddie Mac on August 2, 2012 — the day before her eviction hearing. She waited until the last minute in hopes that the bank or Freddie Mac would move. Crawford said Freddie Mac turned the case over to a legal firm that charges $560 an hour and specializes in fighting these types of cases. All this over a $40,000 mortgage that Crawford had already paid off $12,000 in principal in just four years. U.S. Bank bought the home from itself at the foreclosure auction for the full $40,000. “They made quite a bit of money” from the sale said Crawford. Even though the home was sold, she was allowed to stay in it. 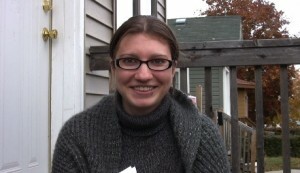 After her home had been sold out from under her, Crawford contacted OccupyHomesMN in September, 2012 with the objective of helping others avoid her situation. She was told that they needed to solve her problem first. At her first OccupyHomesMN meeting she started to tell her story when her mother jumped in and recounted the entire tale. 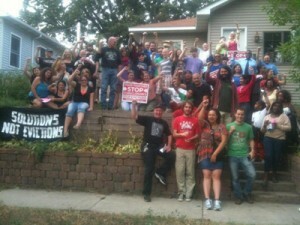 Crawford had an OccupyHomesMN barbeque in her back yard in September, 2012 with about 50 people joining her. The all got out their cell phones and left a recorded message for John Lucas, Jr., Freddie Mac regional director in Chicago. Four days later she got a settlement offer. As part of the settlement, Freddie Mac would allow Crawford’s mother to buy the home and let Crawford stay there. The settlement offer was a surprise for several reasons. Freddie Mac usually refuses to deal directly with homeowners, and it prohibits the sale of foreclosed homes to the owner or anyone related or otherwise that might allow the owner to live in the property. Freddie Mac representative Brad German confirmed that was the policy when he was contacted in September. Freddie Mac and its sister agency Fannie Mae have come under increasing attack by those involved with mortgage or foreclosure problems. The UpTake has been following The Cruz Family of Minneapolis battle with Freddie Mac for months. Freddie Mac is now selling the Cruz house even though the issuing bank wants to rewrite the mortgage. Refusal to lower principal of the loan even if the bank involved want to do so. Anthony Newby of Occupy Homes MN stated “Under the helm of Edward DeMarco they have denied principal reduction to over 15 million homeowners and refused to work with those in foreclosure, all while using public money to carry out costly evictions. Refusing to allow foreclosed home owner under any circumstance to return to their home. Crawford’s case is a notable exception. General recalcitrance in dealing with home owners on any issue. Excessive expenditure of public funds to carry out evictions. Minneapolis has spent hundreds of thousand dollars in police actions on one home (the Cruz Family) at the request of Freddie Mac and dozens of non-violent protestors have been charged with a range of crimes, incurring more city costs and legal costs to protestors. Crawford doesn’t think Freddie Mac is living up to its mission. It’s “clearly not acting in the best interest of our homeowners,” Crawford said sitting outside her reclaimed home. Freddie Mac’s initial indifference and misleading “dual tracking” approach caused Crawford to invest a lot of time and energy protecting her home. The good news is it appears she is making real progress in keeping it. Becky Dernbach reads her new book, "Fannie and Freddie" as Freddie moves against two Minneapolis homeowners. Illustrating artists show their contribution.